It's the topic of endless internet memes—cats casually and callously knocking breakable things off high spots. When cats do this, are they purposely trying to break their owners' stuff? No, they aren't. They have decent reasons for what they're doing, but don't worry. You can train them to stop. Cats are curious creatures, and probably, the first time they bat at something while they're sitting on a table or shelf and it goes flying down to the floor, crashing and possibly breaking, it's an accident. However, the whole process will intrigue many cats and make them want to do it again. And again. And again. The chain reaction of pawing, falling, crashing, and breaking can be a curious kitty's own entertainment. When your cat knocks over something breakable or valuable, it's common for you to go running for the area, sometimes sputtering and shouting. Then you spend some time cleaning it up, perhaps muttering the whole time. This is quite the spectacle for your cat, and that attention, even though you consider it negative, can be its own reward to your cat for knocking something down. Doing it again can be an enticing proposition for an indoor kitty that might be experiencing some boredom. Cats love to play. They're hunters, so much of their play involves stalking, chasing, and pouncing. Sometimes, they learn that they can create their own prey-like movement in an object by batting at it. This is the case with balls, but it also happens when a cat knocks something off a shelf or table. How Can You Curb Feline Knocking Over Behavior? Here are some ways to get your cat to stop knocking things over or keep the objects stable. 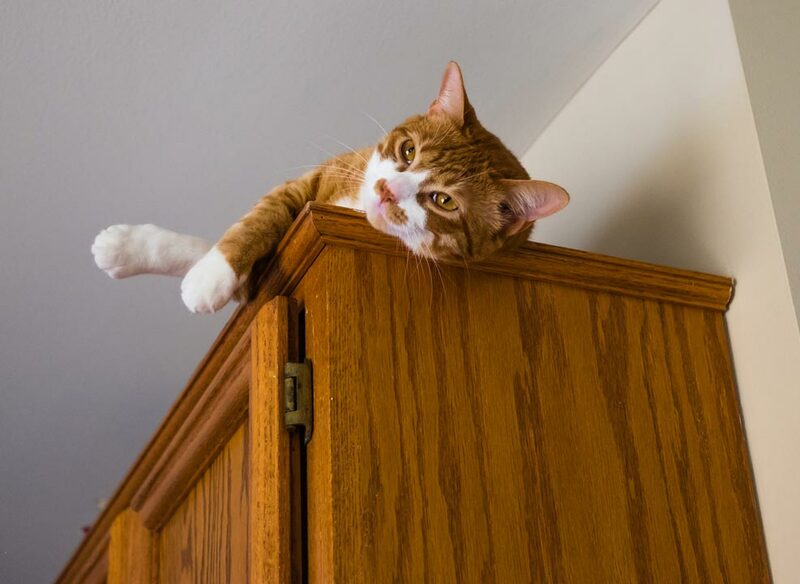 If your cat uses furniture to climb onto high spots where they can knock things down, try rearranging furniture until your kitty can't get to those areas. Museum wax is excellent for fastening things to their shelves. Make sure you test the surface in an inconspicuous area first to make sure the wax doesn't discolor or mar the surface. Use double-sided tape to make it unappealing for your cat to jump on the surfaces containing things you don't want to be knocked over. Cats don't like having sticky paws. Again, check in an inconspicuous spot first. Don't yell at or punish your cat for the behavior. This could make it worse because a reaction of any kind might be what the cat is after. It also could result in stress and a decreased bond between the two of you. If you see your cat gearing up to knock something over, throw a toy the other direction and praise him when he chases it instead. Increase the interactive playtime you have with your cat to make sure she's getting plenty of opportunities to blow off steam and engage in hunting behavior. Use puzzle toys when you aren't home to keep your cat occupied. You can also try automatic toys that have settings allowing for the toy to come on periodically throughout the day when you're gone, so your cat can "hunt" and be occupied. As much as possible, keep counters and tables clear of breakable items. 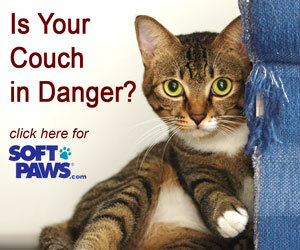 You can learn more about keeping your cat off counters and tables in the first place. 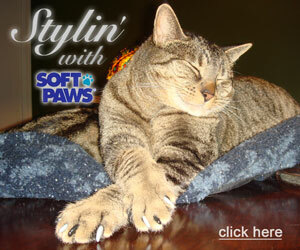 Check out this article, "How to Keep Your Cat on the Floor and Off the Counter."